This baby jacket/cardigan is rather unique in the fact that it is knitted from side to side instead of bottom to top in the traditional manner. It is done in garter stitch with a lovely lacy panel to the hemline. 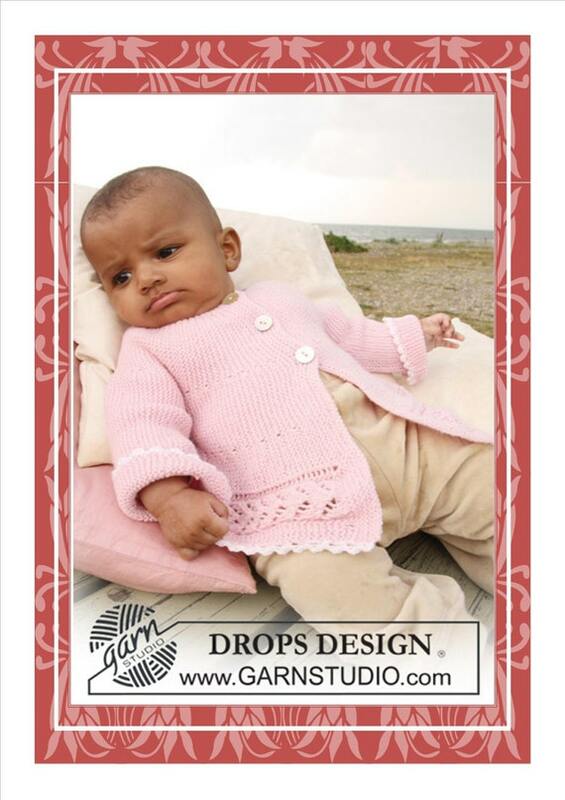 It has been designed by Drops and will be made to order using Drops Baby Merino yarn which is 100% wool.